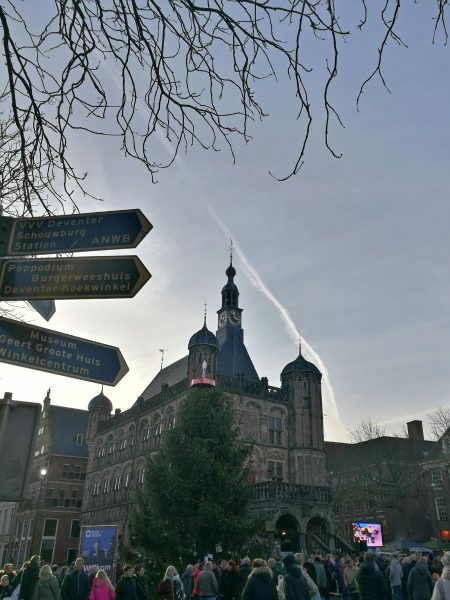 Everyone always talks about how magical and ‘must-visit’ German Christmas markets are, but lately I have been on a bit of a mission to explore what Christmas magic the Netherlands has to offer! 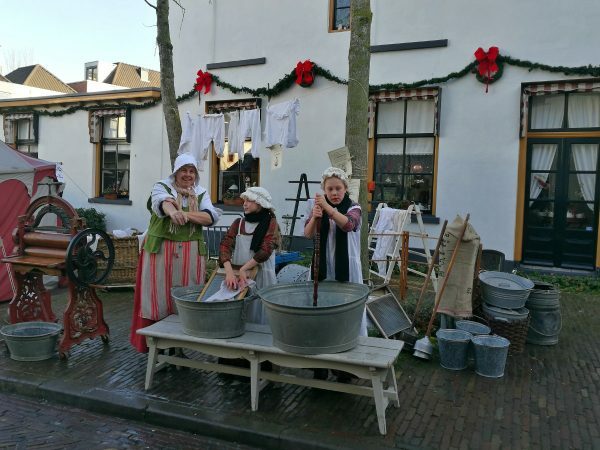 Along with some Christmas markets in castles, Christmas markets in caves and floating on canals, there is also one very unique Christmassy event held in the Hanseatic town of Deventer every year. There are seven Dutch towns situated on the river IJssel and during the 14th and 15th centuries they formed a traders union called the Hanseatic League. This union lead to enormous prosperity and wealth and to this day these Hanseatic Towns are well worth a visit for the history and beauty to be seen. 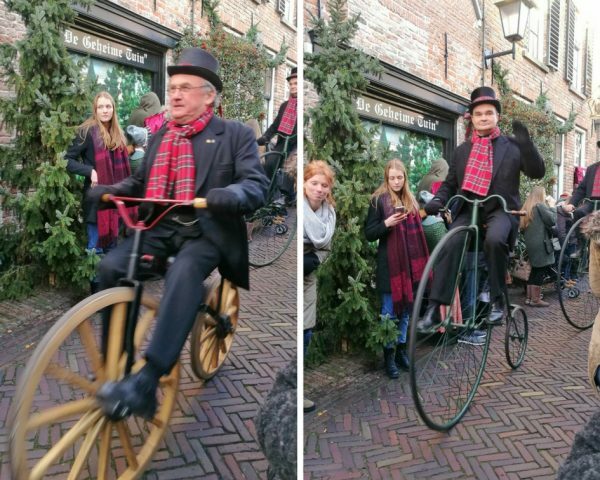 Deventer is one of these towns and it is also the town that hosts the Dickens Festijn (Dickens Festival) every year! Read on to find out more about this very unique (and free!) 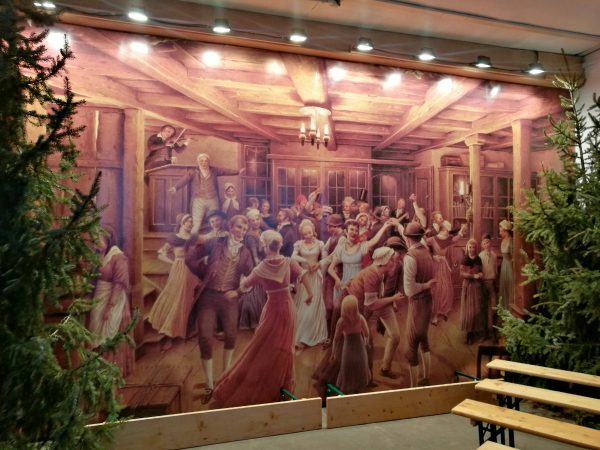 Dutch Christmas event. 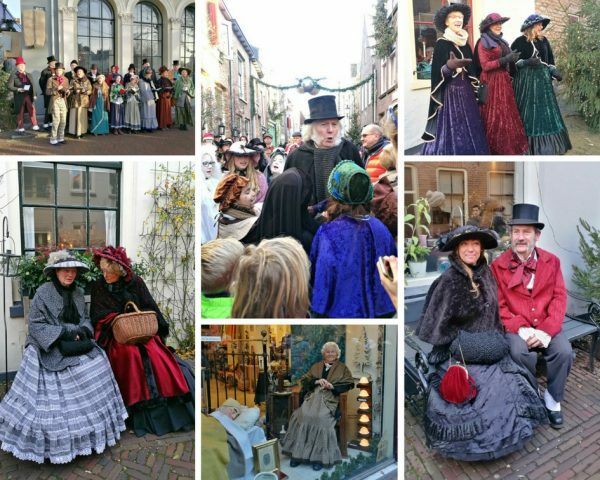 Every year for the past 27 years Deventer has hosted the two-day Dickens Festival the weekend before Christmas. I have been trying to research just WHY they have it here, as far as I can tell the town of Deventer has no links to Dickens whatsoever! I have read online that basically either some of the local businesses wanted to attract more people to the town and decided a Dickens Festival was the way to do it; or that a local Dickens fan came up with the idea – a lady called Emmy Strik who has most of her Dickens collection on display in the Dickens Kabinet (more on that later). Either way, it has become a major event, attracting around 125,000 visitors annually. Not bad for a town with a population of just under 100,000! I had heard about the festival at least a year ago, but was only able to go this year, and I had an absolutely wonderful time. There is a designated route set up through the historic Bergkwartier of the town, where all the prettiest buildings are located. 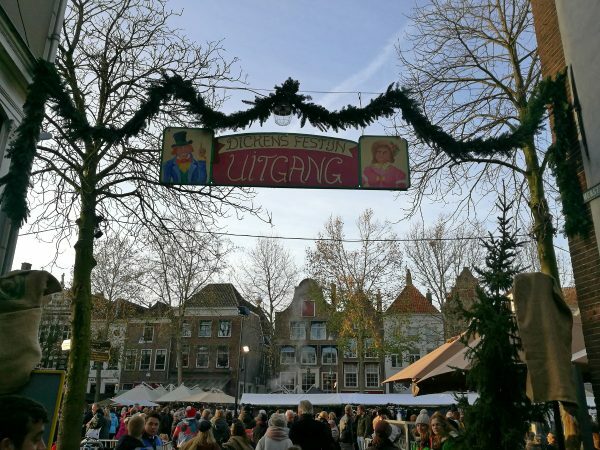 For this weekend all the shops are open for Christmas shopping and there are also carts along the streets selling hot chocolate, mulled wine, soup, waffles, roasted chestnuts or roasted potatoes, sausages and lots of other delicious smelling things. Throughout the streets more than 950 characters are brought to life by both professional actors and local townspeople in Victorian-style clothing. The streets are very crowded because every time the actors put on a little skit everyone stops to watch, but it is so entertaining and amusing that for once the crowds didn’t bother me! We saw chimney sweeps and ragamuffins selling coal, characters from Charles Dickens’ novels such as Ebenezer Scrooge and the ghosts of Christmas, as well as lots of elegantly dressed ladies and gentlemen. There were periodic ‘parades’ of kilted bagpipe players or men in top hats on penny farthing bikes, girls sweeping or a family pulling small children in a big wooden cart, and we even saw Queen Victoria in her carriage! There were different carollers throughout the town and some of the shops featured people in Victorian dress sitting in the doorways or windows. The actors were very good, they never broke character, some were pretending to be drunk or were just cheeky and they were always happy to pose for a photo. We saw Ebenezer Scrooge being mobbed by begging children and refusing to give them anything, as well the ghost of Christmas present all in green, and I think another one of the ghosts but I’m not sure. The funny thing was, even though it’s a festival dedicated to a great British writer, they still do everything in Dutch! Of course, we’re in the Netherlands so people speak Dutch, but I still find it rather odd (in a cool way) how they are so obsessed with the characters of Dickens here. Although perhaps it is more to do with the ‘Victorian-esque’ feel of the festival, which does make everything a bit magical and lovely. 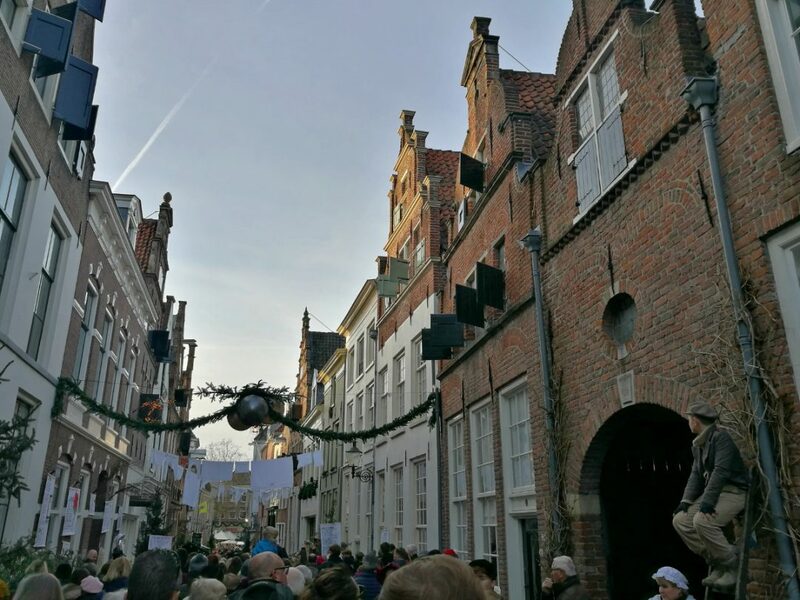 The decorations throughout the streets were beautiful, and the buildings in the part of Deventer are gorgeous. I definitely want to come back another time to explore without the festival crowds! As well as all the characters, carollers, shops and stalls along the way, the Festival route ends up in the open square of the Brink and a huge Christmas market on the Sunday. 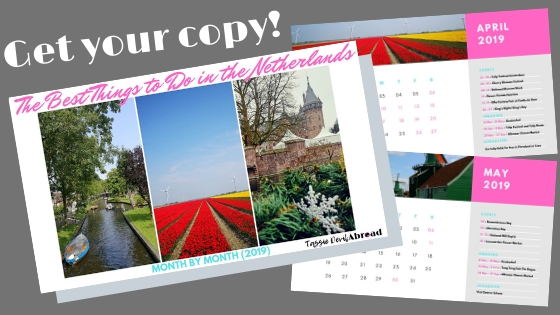 Perfect for last-minute gifts, and the square is also lined with lots of cafes and restaurants if you haven’t had enough snacks along the way! It takes about an hour and a half to get to Deventer from Amsterdam by train, and they have extra trains running during the festival weekend (and also a discount if you buy your tickets online). If you are coming by car they have special parking areas with shuttle buses to take you into the city centre, although we ended up using one of the Park and Ride parking lots by booking a parking ticket online ahead of time for €8. The car-park was only about five minutes from the entrance to the Dickens Festival, and we could park there until 11pm if we had wanted to. The festival website says that queuing times to enter the festival can be up to 1 1/2 hours long and the busiest times are between 11am (when it opens) and 1pm. We arrived on the Sunday a bit after 1 and only had to queue for around ten minutes before getting into the festival route. Now that this year’s festival is over the website is a bit empty, but you can check it later for info about next year’s festival here. Entrance to the festival and market is free, so you will only need to pay to for your travel costs, and any food, drinks or gifts you buy along the way! The stalls only accept cash so make sure you bring some with you, there are some ATMs at the queuing area as well. Charles Dickens Kabinet: As I mentioned before, there is a Charles Dickens museum-type place in the Bergkwartier, in what used to be a women’s prison. 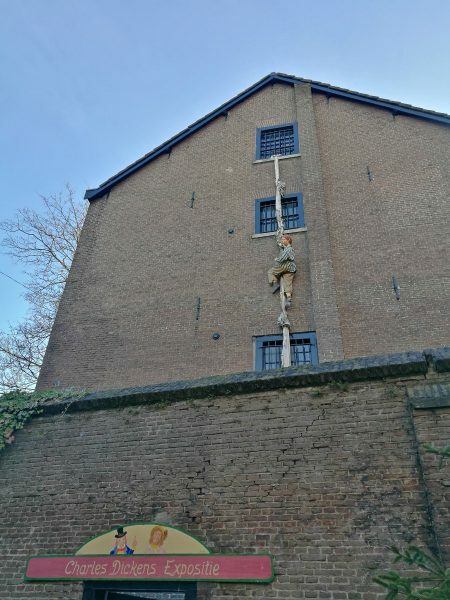 You can see a model of a woman climbing out the window to represent the prison and inside are numerous books, prints, figurines and dishes all dedicated to Charles Dickens. There’s even a bust of Dickens himself and this is where most of the costumes used in the festival are stored and repaired if need be. When the festival isn’t on it is only open on Saturdays and admission is just €2. You can find out a bit more about it here. MORE Museum: The MORE Museum is the largest museum of Dutch Modern Realism and is also located in Deventer. Here you can see artwork by Carel Willink, Jan Mankes, Pyke Koch and other modern realists. Entry is €18 and the museum is closed on Mondays and major holidays. Find out more here. 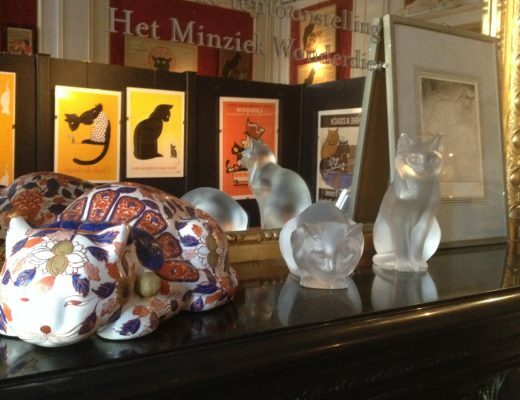 Speelgoed Museum: The Speelgoed (toy) Museum in Deventer is perfect for children or the child at heart. Here you can see all sorts of toys, from the old to the more modern and there’s also a playroom which would probably be good if kids are seeing amazing toys they can’t touch! 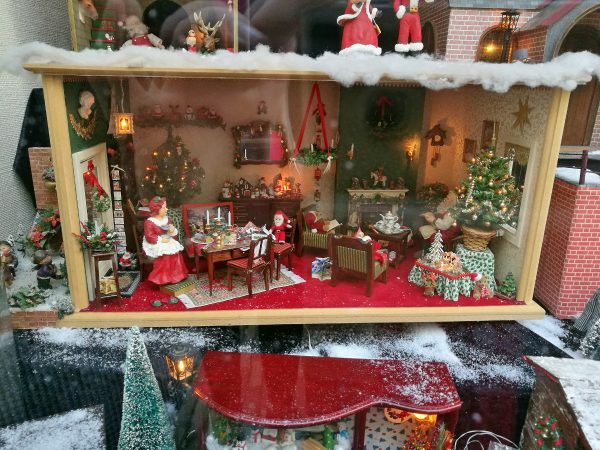 I kind of want to go and look at the dollhouses, I love looking at lovely old dollhouses, there were even some in an amazing window display along the Dickens Festival route I really enjoyed. The museum is open Wednesday to Sunday and only costs €5 for adults. Find out more here. Lebuïnuskerk: The Lebuïnus or Great Church is a, not surprisingly, very large Gothic church in Deventer. 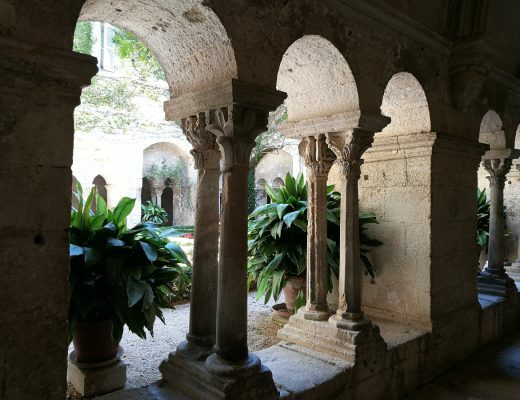 In the middle ages it was the main church of the city and has also served as a cathedral. On Saturdays (May to September) and during school holidays the tower is open for the public to climb, and you can also apparently access a crypt from inside the church. Bergkerk: The smaller Bergkerk is situated in the Bergkwartier (also not surprising) and was part of the Dickens Festival. We saw singing outside the church and a flock of sheep you could pat and feed. Inside were some small stalls as well as a traditional wealthy person’s Christmas feast and in the ‘graveyard’ were (fake) graves for the likes of Ebenezer Scrooge and Charles Dickens himself! The church is quite beautiful inside and also offers a nice view over the historic quarter as it is built on an old river dune. Apparently the church isn’t actually used as a place of worship anymore, more as a community space for concerts, exhibitions etc. Museum de Waag: When we came out of the Bergkwartier at the end of the Dickens Festival route we were on the big main square of the Brink where the Christmas market was being held. 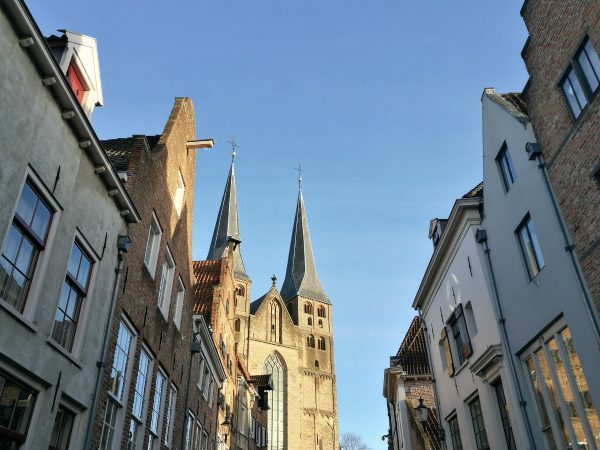 I assumed the big building in the photo below was another church but it’s actually the old weigh house which now houses a museum dedicated to the history of Deventer. This Gothic building has three storeys, a staircase tower, clock and three spires. The building is situated on a bit of a lean from settling in on the old defence wall on which it is built. You can visit the museum for €9 and find out more about what’s on here. 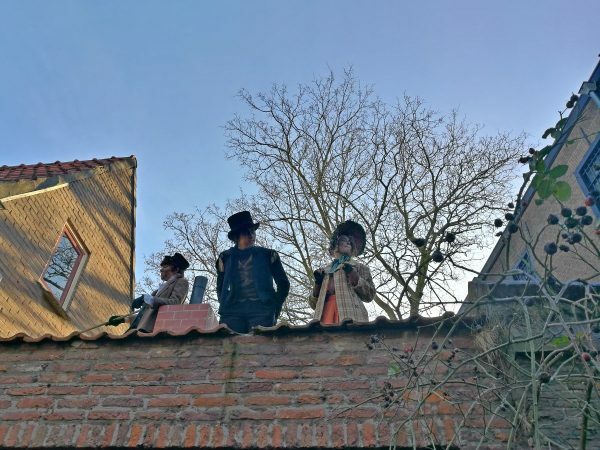 Deventer op Stelten: As well as the Dickens Festival, Deventer also hosts another performance based festival in July: Deventer op Stelten or Deventer on Stilts. As you might imagine, a lot of the performances feature people on stilts, but there are also lots of other types of theatre performances throughout the city from the Friday evening until the following Sunday. Performers come from all over the world, and most of the performances are free, so it sounds like another great event worth travelling to Deventer for! Obviously this year’s festival is over as well, but you can keep an eye on the website for information about next year’s event. Deventer Boekenmarkt: Another festival in Deventer is the famous book-market. Held on the first Sunday of August this is apparently the largest book market in Europe and attracts over 125,000 visitors per year. Around 878 book-sellers set up shop along more than 6 kilometres of the city and many rare and very old books are often on display or available to buy. Obviously not all the books will be in English but a lot are and I think the atmosphere would be great for any other bibliophiles out there! Apparently there is also music, art and other exhibitions on at the same time. I hadn’t heard of it before but I’m definitely putting it on my list for next year. Find out more about it here. Wilhelmina Bridge: If you are familiar with the 1977 film “A Bridge Too Far” then you have seen the Wilhelmina Bridge in Deventer. This was where they filmed scenes taking place in Arnhem (in the story) as the actual bridge in Arnhem was surrounded by modern buildings that wouldn’t match the time period of the film. The film starred actors Sean Connery, Michael Caine, Laurence Olivier, Anthony Hopkins and Robert Redford (among others). 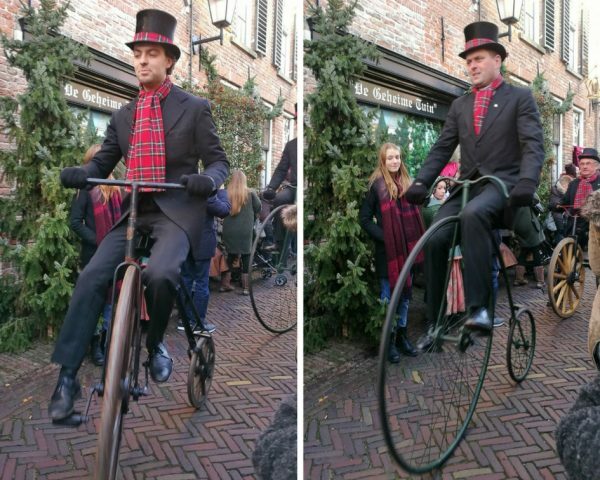 Who knew so many famous movie stars had been flitting around in Deventer back in the day?! The film is based on a book of the same name (which was based on real events) but you might like to watch the film to see some of the events that took place in Nazi-occupied Netherlands during WWII. 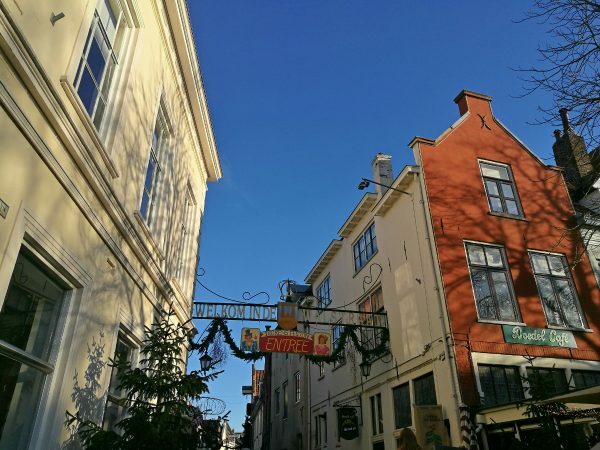 If you are planning on staying overnight, or longer, in Deventer for the Dickens Festival or any other time, there are plenty of affordable and attractive accommodation options. During the Dickens Festival there’s even a very special accommodation package offered by the Postillion Hotel where you can have a welcome drink, 4-course dinner with musical accompaniment, breakfast and a shuttle bus to and from the festival itself. Rates start from €179 p.p on the Friday or €229 p.p on the Saturday. If you’re after something a bit less fancy (but still nice) there look to be many affordable and stylish options which you can easily check out below, or have a look on AirBnB if something self-contained is more your style. 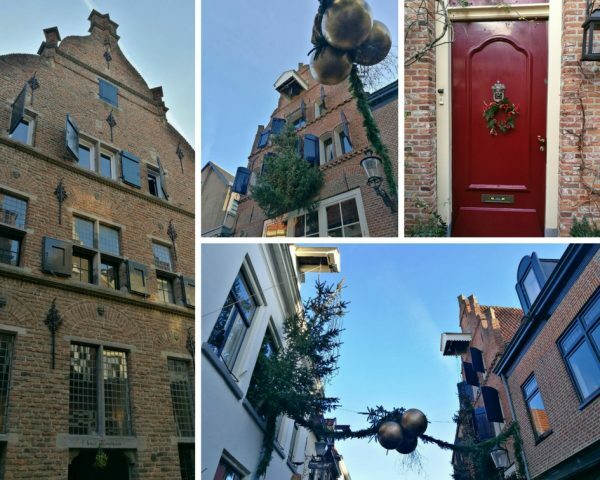 Here (below) is just a sample of some of the gorgeous old buildings to be seen in the Bergkwartier, all dressed up in their Christmas best! 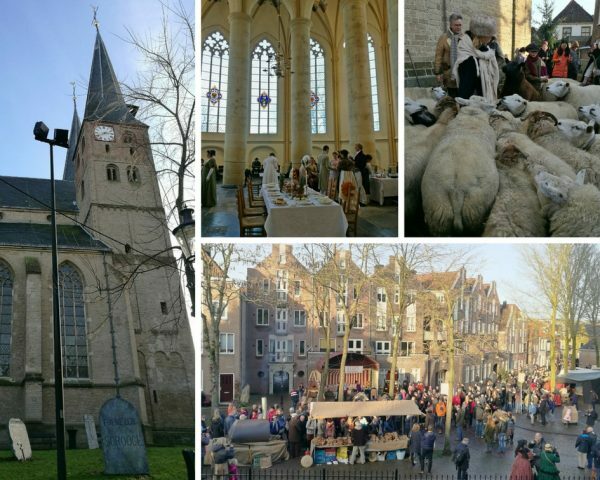 Have you ever been to Deventer for the Dickens Festival or would you like to go? Let me know in the comments and pin one of these if you’re thinking you might like to see this unique event for yourself some day!